If you have read Warnings, you know of the important contribution made by Don Burgess to the Doppler radar network. 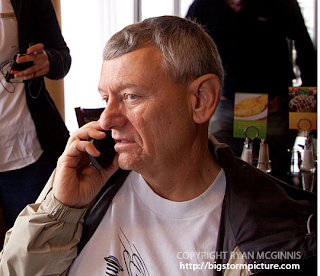 Here is a photo of Don in action for Vortex II before the tornado outbreak of last Monday (11th). Ryan McGinnis has a great post on his blog and terrific pictures about Vortex II and the challenges they faced during Monday's tornadoes. These types of scientific field experiments are not easy!